The Rev. 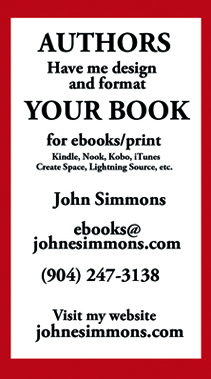 J. Perry Smith is a Vietnam combat veteran, former CIA Case Officer, retired FBI Agent and now… an Episcopal priest. This amalgam of experience gives him a unique insight into the human condition, and it enriches his story telling. These “very short stories,” as he likes to call them, are alive with humor, drama and authenticity. John and the Cat will certainly anger cat lovers, but the cat survives its ordeal in good condition. Molly delights because we see a dying woman in her 80s who never surrenders to the will of others. She fights for her right to die as she wishes. She never loses her dignity, humor or resolve. And we love her for it. Betty’s Gift is mystical and scary. Betty’s spiritual gift of discerning evil brings to life events that many of us experience, but rarely talk about for fear of being labeled a “religious nut or hysteric.” Betty saves people from bad choices. Five other very readable and charming stories and one essay complete the book. 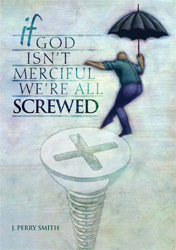 If God Is Not Merciful, We’re All Screwed is a must read. Smith writes to delight, infuriate and mystify. And he delivers!